Hearing aids are great, but most must be removed around water. Hearing aids are also expensive, and accessories like the FM systems used in schools are also pricey. As many phones are now water resistant, they can begin serving as backup hearing aids for when the going gets wet. But phones are also designed to communicate; by connected two smartphones you can create an FM-like system where one person can speak directly into a second person’s headphones. 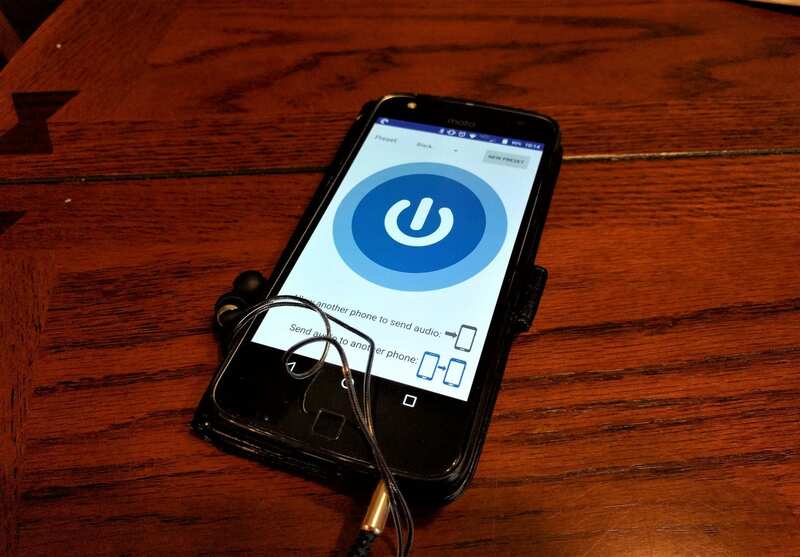 Those two functions are what the Hearing Phone app provides. By using equipment that most people already own (or could buy for far less than hearing aids), Hearing Phone can allow people with hearing loss to keep listening when their hearing aids come out or serve as a bridge while they save up for hearing aids. Adapted Exersaucer: An extended backrest for children with low tone.